Officially spring! But, we still have snow on the ground. Can we talk about how disappointing that is? I’ve been pinning grilling recipes like crazy – but, to be honest, I’ve been surprised how much the grill tools have gotten use inside this winter. 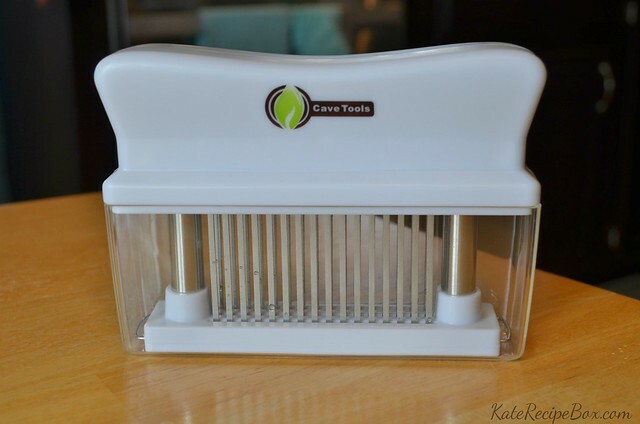 Cave Tools recently sent me this blade tenderizer to try out, and once again, I was super impressed – they really design these to be easy to use! First up – storage: it comes with a great lid/case, to store it in – so you can’t accidently bump it in the cabinet and end up poking yourself with the blades. The whole thing is also top-rack dishwasher safe, which is amazing – it makes clean up so, so easy! We gave this a test run with the night’s chicken – the punctures let the marinade soak in so nicely. It was the juiciest chicken I’ve made in a long time! 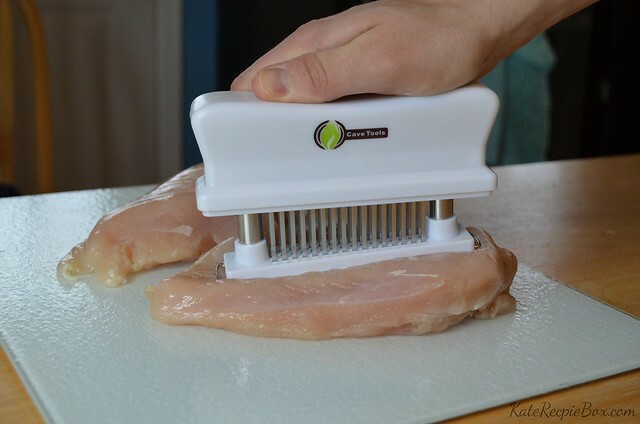 The extra step of tenderizing was worth the (minimal effort) – I can’t wait to try it on steaks! The Blade Tenderizer can be purchased from the Cave Tools website – use code TENDER15 to take 15% off. They can also be found on Amazon.